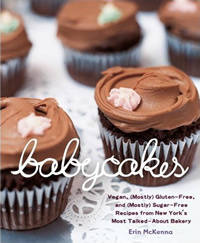 Our books editor Helen might not have liked Babycakes (Amazon ), the cookbook from New York's eponymous vegan bakery, all that much, but that doesn't seem to matter to them: per Publisher's Marketplace, the team behind the first book has signed a deal to write a followup for publisher Clarkson Potter. 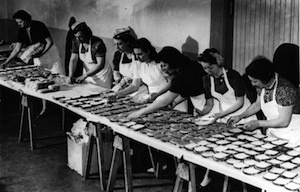 Babycakes Covers the Classics ... and Other Food Fantasies will expand on the original's cupcake-and-cookie focus to include dairy- and egg-free takes on rice krispie treats, doughnuts, and other sweet things. Also in upcoming books, as Grub Street pointed out, Chef Daniel Humm of New York's recently four-starred Eleven Madison Park is writing something up. Pub Marketplace describes it as "seasonally arranged recipes and behind-the-scenes vignettes highlighting the philosophy of continual reinvention" that EMP embodies. Whatever that means.